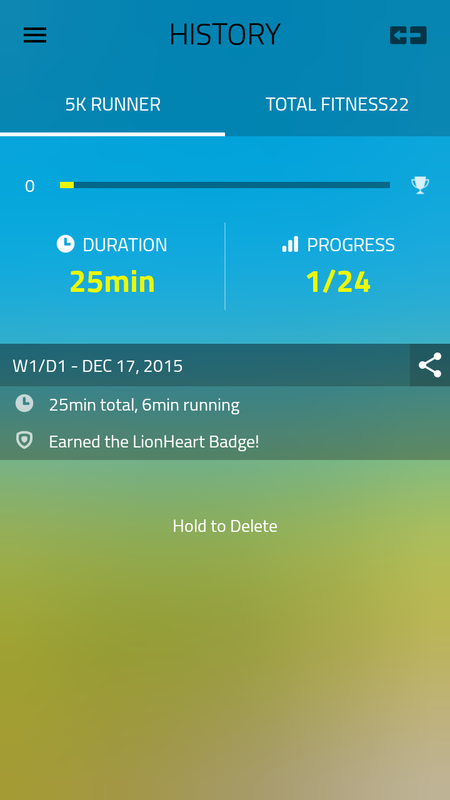 5k Run is an app for those who have never put “workout” in their todo’s list and are looking to get started. It promises to get you running up to five km if you follow the training. The Android app is free and this review is for version 1.4.1 on Android 5.0.2. There are quite a few Android apps in fitness category. 5k Run by Fitness22 is an entrant in this space. The goal of 5k Run is to get you running 5 km in 8 weeks with a commitment of 30 minutes 3 times a week. The app is easy to use. As soon as it launches, there is a ‘Let’s Go’ button to get started. There are 3 stages to every run- Warmup, Training, Cool down. A human voice announces beginning of each stage. 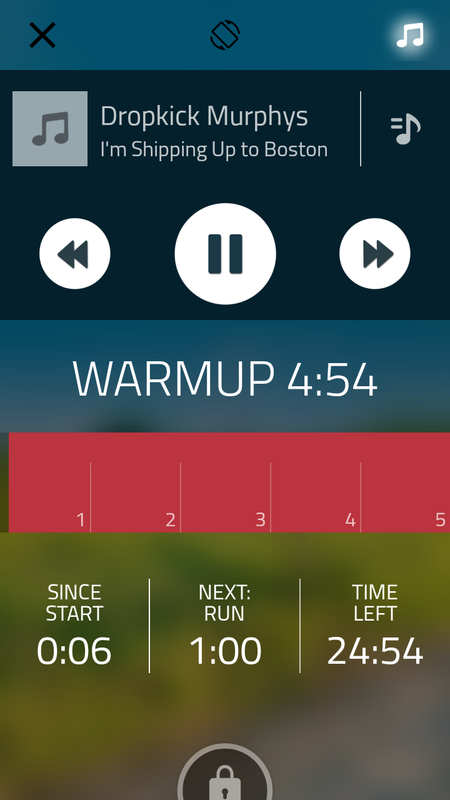 The app covers some of the basic features expected in a runner app. Users can listen to music during the workout. 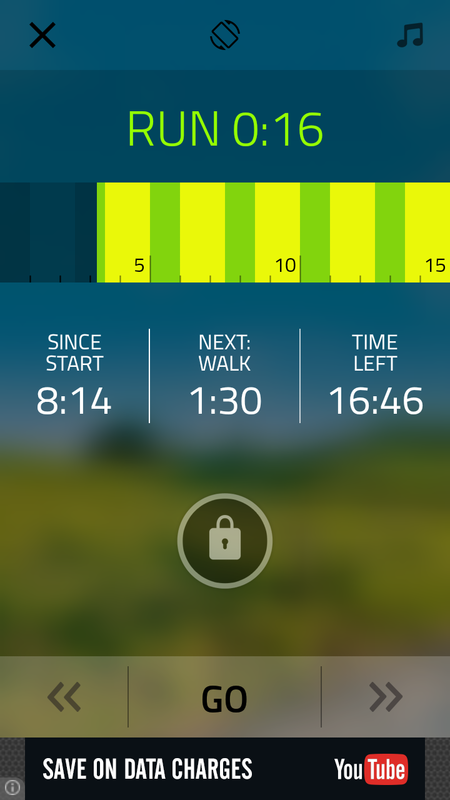 At the end of a workout, a basic report on workout duration and overall progress is shown. 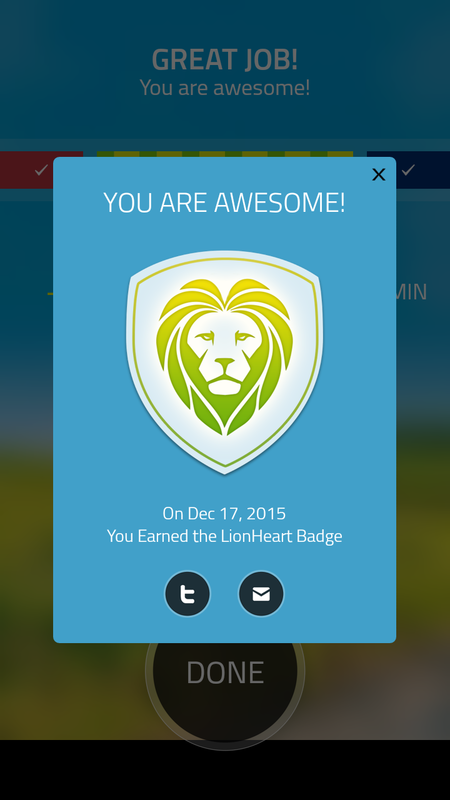 Different milestones are rewarded with badges. The app allows milestones to be shared over social network. It has a small link named ‘INSPIRATION’ at the home page which shows motivational quotes to help drag yourself out of the couch. 5k Run has training plans in combination with its other apps. If you want to be a runner with great abs, Fitness22 has a plan that uses both 5k Run app and situps app. The completed exercises in both apps can be viewed in History section of either app. 5k Run is an app with a very specific goal. Hence it lacks some of the other popular fitness features such as calorie meter, heart rate monitor, distance covered, speed. It only tells you how many minutes you ran for. We would like to have atleast the distance and speed soon! The existing apps in fitness category set a high bar for UI. 5k Run does not lag behind. It uses full screen mode and the interface is intuitive. 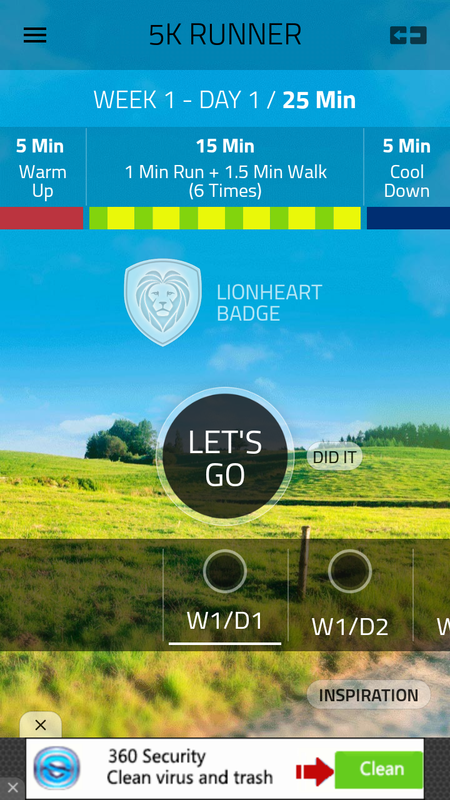 There is a left panel for options and right panel for other apps by Fitness22. The navigation, however, experienced some lags. Clicking links to other apps did not show consistent behaviour- some opened in app webview while others opened in Google Playstore. If you have never used apps in fitness category and want to get started, this is the app for you. It is focused in its goal and does not confuse the user with many options. Experienced users of fitness apps may find it lacking features. The application is available for download at Google Playstore here. This is a sponsored expedited review.